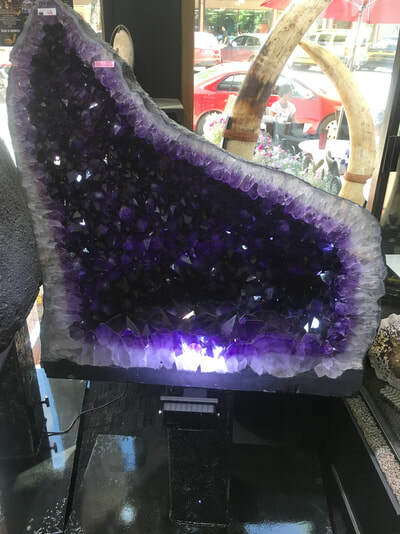 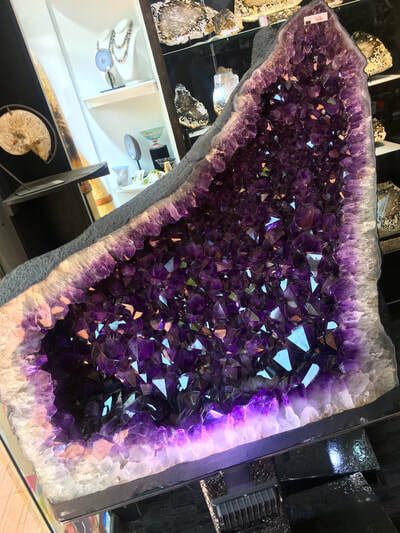 Amethyst Geode from Brazil very beautiful and large Calcite formations (very desirable), exceptionally open formation as well, really accentuating the depth and color! 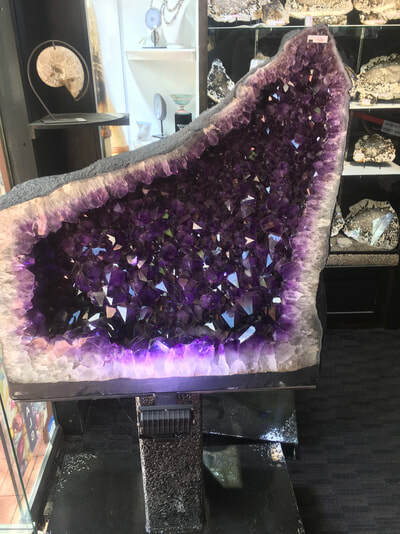 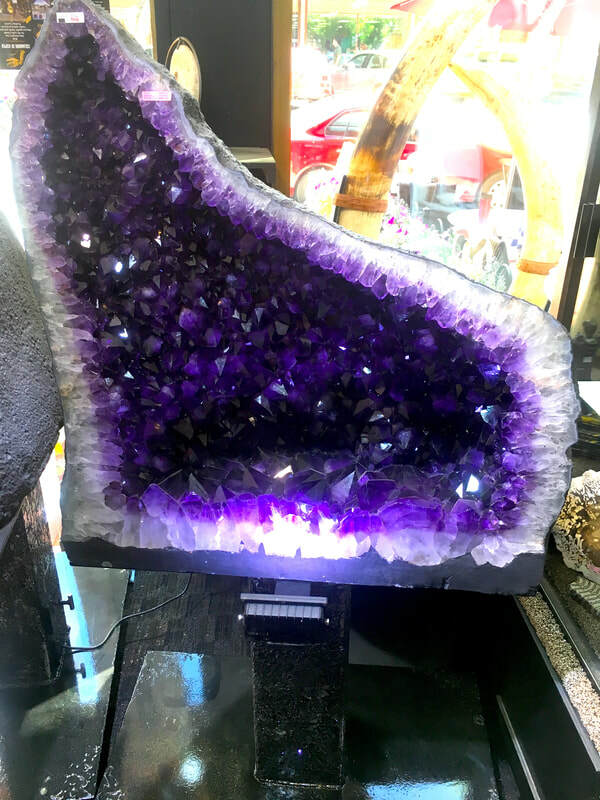 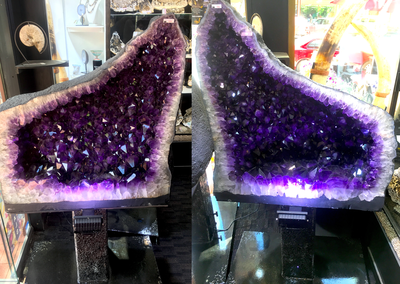 One side is 265kg (34x37) the other side is 277kg (34.5x 36.5) Amethyst is greek for "not" "inotixcate", a reference to the belief that the stone protected its owner from drunkeness. It's one of several forms of quarts. Amethyst holds a rare deep fluorescent purple hue. The Egyptians and Ancient Greek saught this for beauty and legendary energies. 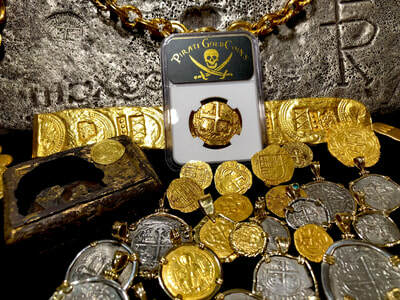 Used as a signature of wealth. Amethyst has been placed in many kings, queens and bishops crowns, such as Queen Elizabeth II of England. 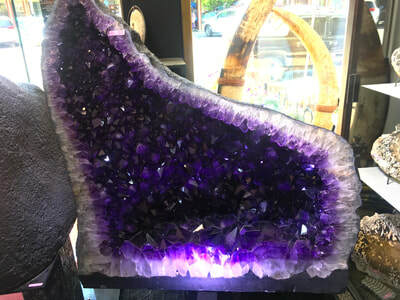 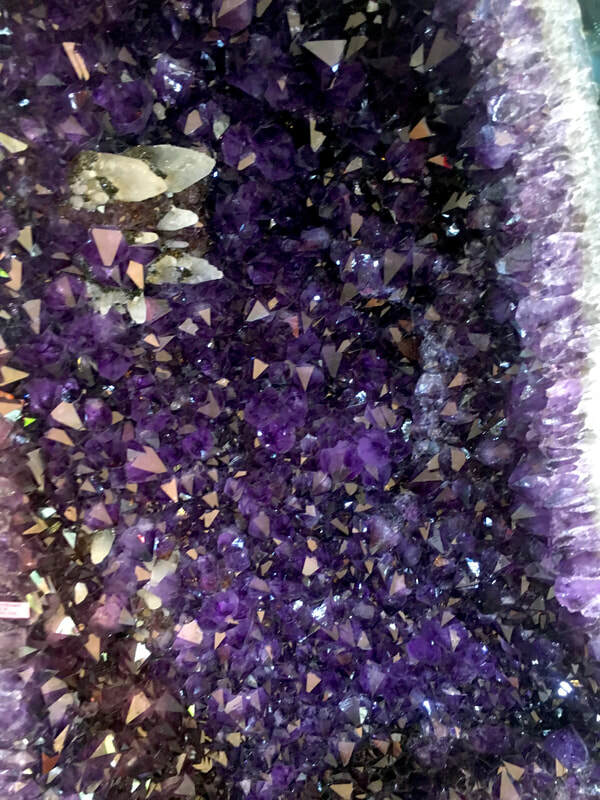 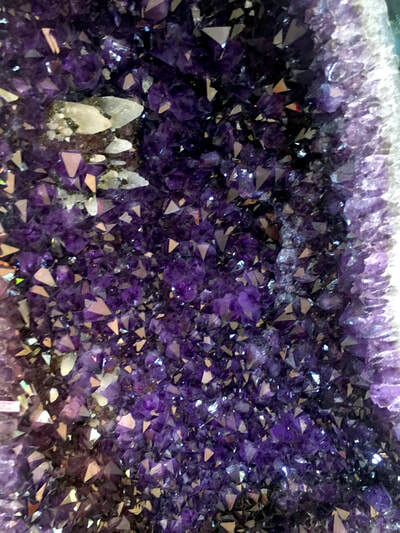 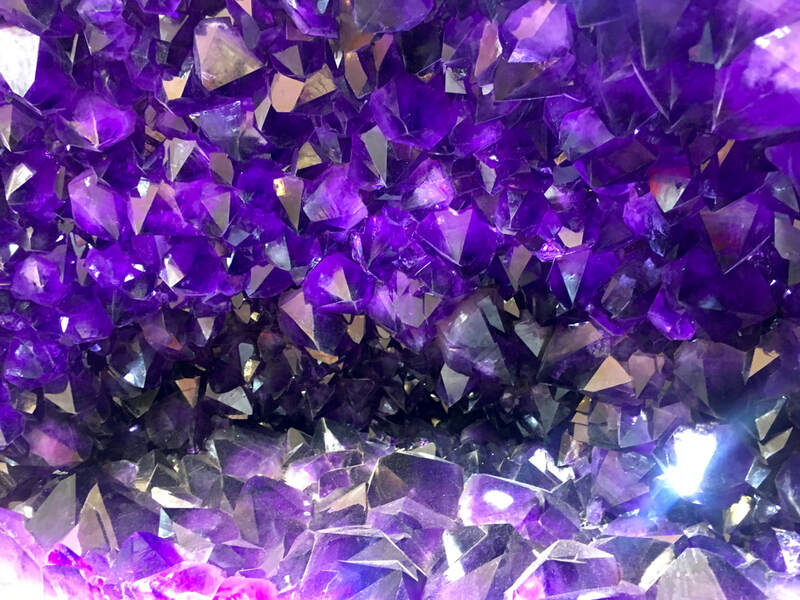 Amethyst are formed under intese pressure and heat, forming a crystalline pattern, composed of silicon and iron making the unique purple color.